Jesus' words, "I have come not to be served, but to serve," are printed in gold above a blue, gold, and white globe. A red Chi Rho is superimposed on the globe. 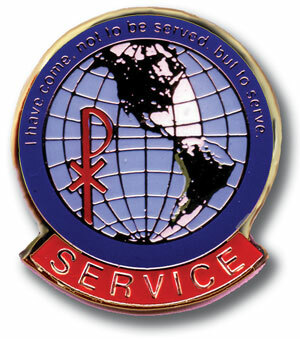 The word "Service" is in gold lettering on a red banner forming the base.